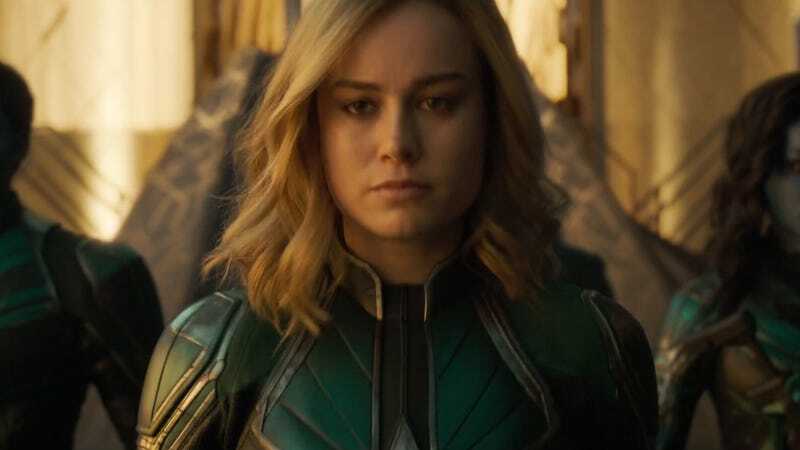 Captain Marvel is here, so bow down to the queen. She’s here! The Captain Marvel trailer finally dropped this morning—and with it, our hype and excitement got sent into the stratosphere. But fans and journalists weren’t the only ones shrieking their enthusiasm about the arrival of Carol Danvers to the MCU. Celebrities and filmmakers did the same. Things started with the Captain herself. And extended to another Captain. Lin-Manuel Miranda, a Disney superfan and family member thanks to Moana and Mary Poppins Returns, also weighed in. Then Valkyrie herself, Tessa Thompson (who may meet Captain Marvel next May), tweeted her approval. Even people without Disney connections came out, like recording artist Halsey. And, of course, filmmaker Kevin Smith was as enthusiastic as ever. Who had your favorite reaction?